Winnipeg, Manitoba Dentist Dr. Ron Isfeld grew up on the shores of Lake Winnipeg in Gimli before receiving his DMD from the University of Manitoba in 1980. Dr. Isfeld was in private practice in Selkirk, Manitoba from that time until selling his practice to retire in 2016. However, retirement never suited the always active Dr. Isfeld, who is both a 1st-degree Tae Kwon Do black belt and a classical violinist, and a chance meeting with Dr. Anastasia Cholakis on a dental mission in Zimbabwe brought Dr. Isfeld to the Cholakis Dental Group. This trip also was a contributing factor to Dr. Isfeld’s return to teaching, as he was a part time clinical instructor at the University of Manitoba as well in his youth. 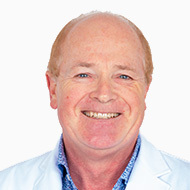 Dr. Isfeld now splits his time between teaching as a clinical instructor at the University of Manitoba’s Faculty of Dentistry, and practicing at the Cholakis Dental group, where he is able to use his knowledge and skill to continue to do what he loves most, helping patients. Dr. Isfeld is currently accepting new patients and would be love to be your new dentist!